9 I am still Waiting for an Answer on Talk:pokemon to what I said. 11 E3 2011 is here. 30 Why? I'll tell you why. 39 Mario Kart Wii, Yay Whoooo! Yeah yeah, rules and such. Please make your message easy to read. Don't ask what my phone number is(I know you're just dying to have it). I'll just tell you straight up that it's 555-676-1234. Yeah, you were "forced" to join my pipeproject. Edit: I know you were joking. Yes. I didn't check. I knew about you getting to 100 headers because you archived it recently. I am still Waiting for an Answer on Talk:pokemon to what I said. This is your cue to get your sections done and sent to me through our forums by July 9. If you can't make the deadline and you have a valid reason for doing so, get in touch with me as soon as you can and we'll work it out. How is it not allowed? Who has lost his tail? How is it unnecessary? Who has lost his tail? U still mentioned me. "(Undo revision 1088000 by KoopaMan (talk) That never existed)"
The preceding unsigned comment was added by Pdjr9000 (talk). Look at Star Pipe!!! IT IS A STUB, AS WELL!!! The preceding unsigned comment was added by KoopaMan (talk). Its from Mario Super Sluggers. P.s. What are your battle stats? You know, like Paper Mario stats. Like HP, Sp, the stats I made for you in my RPG! What do you mean by "out of my 400 edit, 24 are in the mainspace"?!?!? p.s. 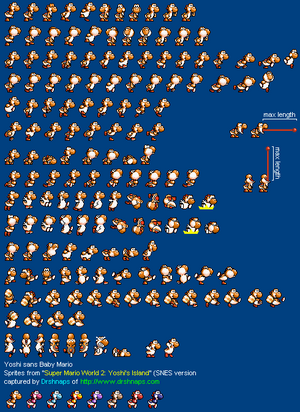 I made some more sprites for you. ;( F117's Message Block: Would you like to use a 1-Up Mushroom to revive Fawful117? Mario Kart Wii, Yay Whoooo! I just got Wifi on my Wii, can we race? Pixl Power PS: Can you sign yourself as Yoshiwaker so I know who you are? This is your cue to get your sections done and sent to me through our forums by August 13. If you can't make the deadline and you have a valid reason for doing so, get in touch with me as soon as you can and we'll work it out. This is your cue to get your sections done and sent to me through our forums by September 11. If you can't make the deadline and you have a valid reason for doing so, get in touch with me as soon as you can and we'll work it out. This is your cue to get your sections done and sent to me through our forums by October 8. If you can't make the deadline and you have a valid reason for doing so, get in touch with me as soon as you can and we'll work it out. This is your cue to get your sections done and sent to me through our forums by November 12th. If you can't make the deadline and you have a valid reason for doing so, get in touch with me as soon as you can and we'll work it out. 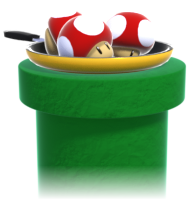 Please PM Marioguy1 your Pipe Plaza section on the forums (our forums, which one did you think?) by no later than December 10th. Please remember to save a copy in your outbox. If you can't, tell me, and I'll be sure to work something out. Can I use the Tyranitar in your sig? I will place it on the left side of my sig, so nobody will think it's you. This page was last edited on November 6, 2013, at 22:31.